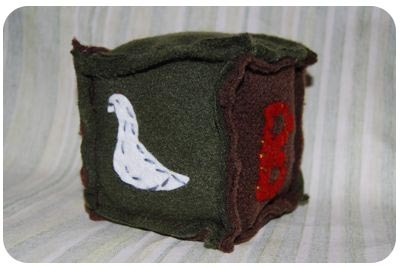 Soft blocks are a wonderful and easy handmade toy project for beginning sewers! They stack, are easy for baby to clutch and are safe to throw, unlike wooden ones with sharp edges. Plus, pick out some fun fabric that match your nursery or play room decor and they are adorable and addictive to make! 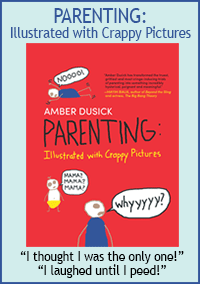 Make a whole set in various sizes! Start by cutting out six squares in fleece. 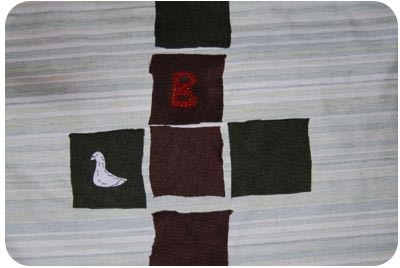 These instructions show leaving the seams raw and exposed so fleece, a felted sweater or felt will work well for these soft blocks because they won't unravel. My squares were 5" by 5" but you can choose to make it smaller or larger. Larger tends to be easier to sew, but too large (greater than 8 inches or so) will tend to lose its shape as a cube and look more rounded. Optional: Add cut out felt shapes to a few (or all) of your square pieces. 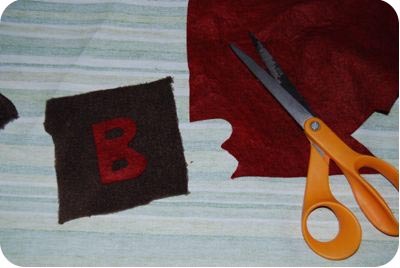 Letters or simple shapes are easy to cut out of felt and then hand stitch on with embroidery floss or machine stitch on. Lay out your six squares in a cross pattern to plan out where each one will go. Machine stitch all the edges together except for just one side, leaving an opening to put your stuffing. Stuff them with the stuffing material of your choice. 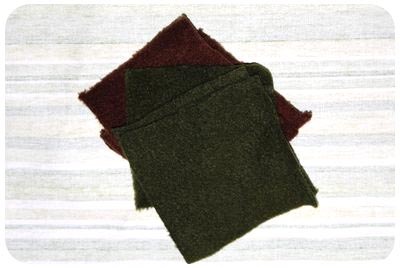 Wool, fiberfill, cotton batting or even cut up scraps of fabric can be used. 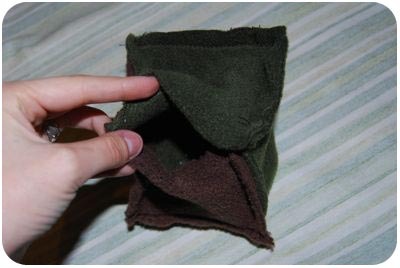 The trickiest part of this very easy project is sewing that last seam while it is stuffed full. 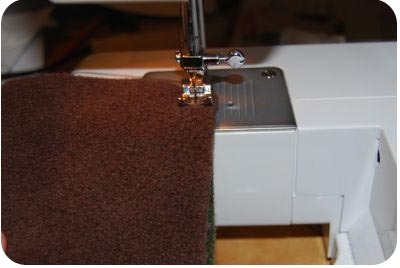 You can shove the stuffing to one side to sew on your machine and then re-shape or you can hand stitch the very last seam shut. All done! Now go make some more! Back to the top of the Soft Blocks page.